You are receiving a hefty amount of spam emails from the contact form on you contact page. Don’t worry! This article will guide you set up reCaptcha from Google to anti-spam for the forms on Shopify stores. The first, you must register your site (your domain) with reCaptcha. It’s free. 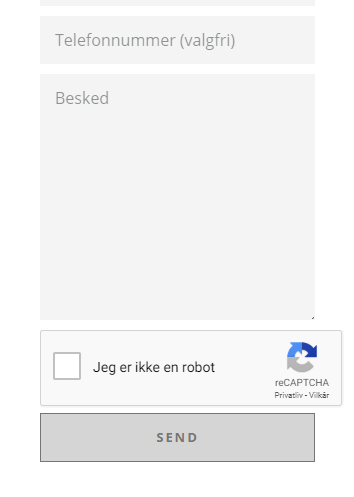 You can go to https://www.google.com/recaptcha/ to do that. After register you can retrieve the site key. And now we will start to set up. Disabled the submit button of the form by add disabled attribute. And now the recaptcha will working. If the user don’t confirm “I’m not a robot“, the submit button is still disable and the form can’t submit to send. Untill the user confirm, they are not the robot and the submit button will be enable. My doesn’t work. How does your code to your contact form looks like with id’s and so on? What’s your site? I want to review it. This is an anti-spam from Shopify. Can you please tell me. How can I fix this issue? 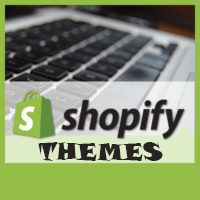 I am facing the same issue with my Shopify site. Thanks. This is happening for me as well. Got everything else working but it goes to challenge#contact_form after submitting. Did either of you get this bit working? This is basically useless. All it does is disable the submit button with CSS, which does nothing to protect against bots, or anyone that knows how to use their browser’s dev tools (which they can use to re-enable the button). It is unfortunately NOT working. The submit button gets disabled, BUT when the recaptcha is triggered successfully then the submit button does NOT submit anything anymore. This is really useless. What’s wrong here? Please check ID of submit button. Do you show your URL. I want to check it. Hi Adam, This is unfortunately not working at all! The submit button gets enable after the recaptcha has been activated successfully BUT NO action is taken, nothing gets send! So that’s NO solution!! Actually, it is working on my site. Thanks for this little hack! Works with me but make sure the ID of the button is right! However, I hate that the width of the captcha is wider than the rest of the fields in the VENTURE contact form. Hello Huynh, The submit button still disable, after the recaptcha valitation. What can i do? Please make sure the ID of the button is right! I just checked your site. I think you must add ID contactFormSubmit for the button. My site shows the send button saying “Send Disabled” on it. Underneath that, the Captcha button shows. I don’t want the send button to show until after the customer checks the Captcha box. How do I do this? Thanks man, this seems good. I can almost get this working, but when I click submit after doing the captcha, it just goes to a 404, going to my site ‘/challenge#ContactForm’. Am I missing something? Where can I find the first step? I cannot find it anywere.